I have been so busy with deadlines that I have neglected my blog and all my bloggy friends. So, if I have been spamming your blog with comments, it is only out of love. I really marvel at my friends A in L.A. and A in Bahrain who are full-time mothers, with full-time jobs, a family and home to manage and STILL manage to blog often, and quite wonderfully at that. I wish I knew the secret blogging formula, but I cannot do what Copyblogger does and blog 24×7. Yes, blogging is science and an art and I’m sure by the time my son gets ready for college most phancy universities will offer courses in it. I’m telling you, ‘digital storytelling’ is the new creative writing. Stories. When I was a child, a story was something that came out of a book, ink and paper, bound and pressed. It had protagonists, a plot, a beginning, middle and an end; and a resolution to the said plot. Now thanks to Mark Zuckerberg, a story is any random piece of &%$#! that comes up on anyone’s Facebook page. Oh well. Denim. I know that a lot of things change post-pregnancy. Some of us develop cravings for food which we didn’t care for earlier. Some of us develop aversions to things we loved. That has happened to me. I hate denim jeans now. I just can’t wear them anymore. I abhor the heaviness. I dislike the stretch. I detest the density. So I invested in cropped cotton pants with a bit of stretch a la Audrey. Cotton is so much nicer. It helps me breathe. I know that style guides will accuse me of adding extra age to my frame by opting for slacks and doing away with denim in my 20’s, but I really don’t care. My face is the same so it’s cool. Nerds. Since I have been munching on PEZ, I suddenly realized how much I miss Nerds!! I love this candy. Sweet, tart, powdery, sugary: all at once! As I child, every Halloween, I’d pray that people would hand out more Nerds boxes and Snickers bars. I used to get very upset if I got stuck with candy corn. Nerds rock. They are pebbles of perfect awesomeness. 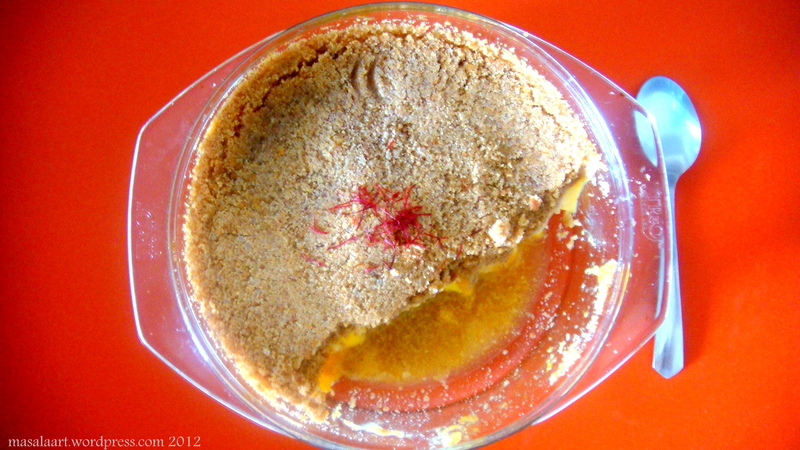 Last-minute mango & peach crumble, with the last fruits of the season. 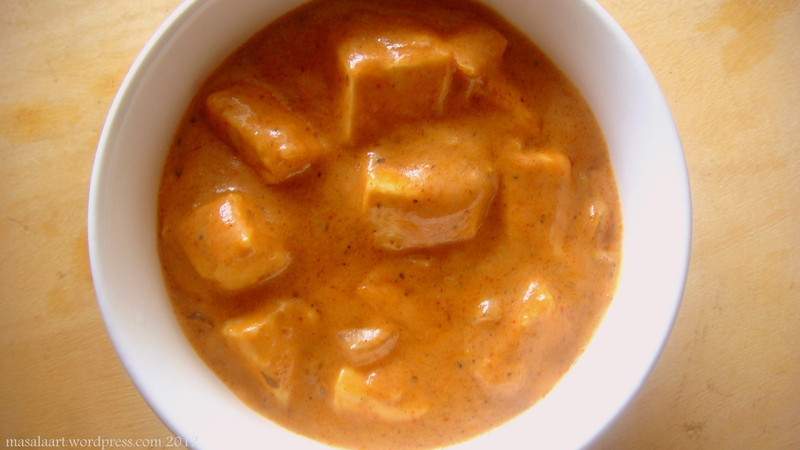 Paneer butter masala. Always great for when people come over. 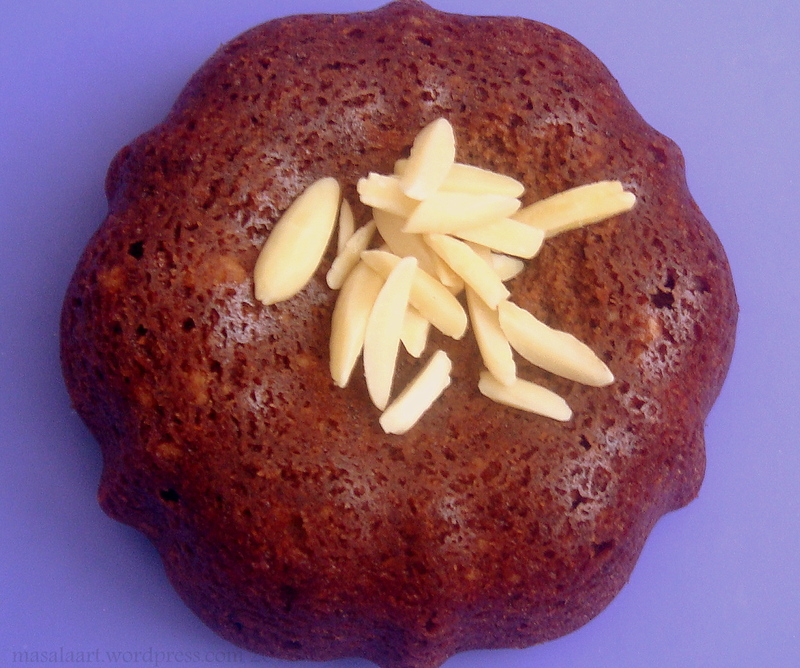 Go my hands on How To Be A Domestic Goddess. I know. I caved. I have written earlier about how I do not really like Nigella, but there are so many great recipes in her book, and so many of my blogger friends have made wonderful things using this book, and I needed a baking book anyway, and Dorie’s book was out of stock, and you know….ok, enough with the validation. I bought Nigella’s cookbook. All the better, because in her book, I only have to see her words, not her crazy-eyes. 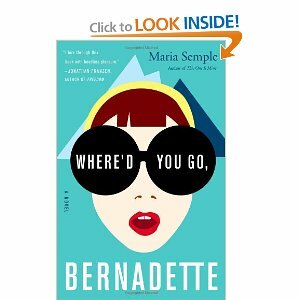 I also got my hands on Maria Semple’s Where’d You Go Bernadette, simply because I read such great reviews about it and went through a sample. I am yet to start it, but looking forward to it! Great. I even got the ‘click to look inside!’ logo. How incredibly lazy of me. Oh well. I have also regressed a few years, and have taken to watching Grey’s Anatomy. So that is what I have been upto, between cold-nursing, mothering and work. The way you write, meenakshi, hilarious!!!!! Reading this in office and I am smiling ear to ear. Thanks so much Anita!! Blogging rhythms are the most difficult to maintain since I feel guilty whether I post too much or too little. Mommy thing I guess. Yay! I fellow nerds-lover and jeans hater, we totally have ESPN (remember Amanda Seyfried in Mean Girls?) Well, it’s nice to know that I’m not the only one. Blair Waldorf also never wears jeans, but she still looks fabulous so I guess denim is not a fashion must. Drooling over what came out of your kitchen! Have gained so much weight, with all my trips to B’lore, I can’t afford to even look at them! Hahaha! Well any trip to Bangalore means weight gain, so many amazing places to eat there! I am hoping to get back on the denim love train soon. I remember Nerds…loved them. And Audrey? Classic perfection. I love her! Oh, trust me you do. At least I feel so. I guess while we’re doing it, it doesn’t strike us. Nerds are THE BEST. Way better than Pop Rocks!! I’m glad you’re giving Nigella’s book a try. I own her Nigella Express cookbook and have enjoyed many recipes from it. Welcome back! This book is the bees knees Meenakshi, good choice! 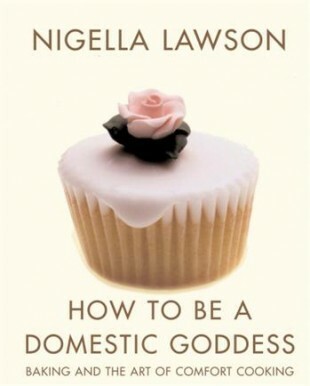 If you are to expand your Nigella repertoire, (*snort*) then How to Eat and Feast and the other books to consider. I still like jeans! :-S It just doesn’t seem to like me. Yeah I am going through How To Eat on amazon! I used to live in denim jeans day in and day out. I must confess I need to exercise more regularly for a lot of my clothes to start liking me again! I love Grey’s Anatomy. It got super weird there for awhile before Katherine Heigl left, but it’s better now. Patrick Dempsey is sooo charming, but sometimes I’d like to poke Derek Shepherd’s self-righteous character in the eye. Glad you’re back! P.S. Not a Nigella fan either. It’s cool. Hey thanks so much!! I am still using a point and shoot, but hoping to get a dslr over the holidays!